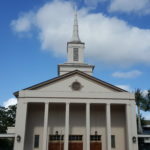 University Christian Church, an Open & Affirming Congregation in San Diego. How Do We Dialogue As Church? I like our identity statement. I like it a lot. It speaks to our history. The theology rings true. It can guide us for a lifetime and then we will still be able to find new ways to live into it. It packs a lot into two lines. I have also been thinking about it lately as I have thought, prayed and discussed how GLAD can most effectively work to help our church live into this identity by making sure that persons of all orientations and gender identities are part of the “all” we welcome to the Lord’s table as God has welcomed us. After a conversation on the need for a “faithful conversation” I decided I needed to clarify in my own mind just what a “faithful conversation” might look like and started making some notes. It happens. The scandal is not how long we have been talking, it how long we have managed to AVOID talking. It values and respects the lives of the people most affected by the conversation— LGBTQ persons. It is a faith based conversation. We must start by affirming that all who come to the table are faithful Christians. We must also be able to clearly articulate how being inclusive is being faithful to the Gospel. It is fact based. Right now the airwaves and print publications are saturated with false “information” about LGBTQ persons. This is worse in Christian sources than it is in secular. Warren Throckmorton has an excellent article about this here: http://wthrockmorton.com/2011/12/07/the-evangelical-blackout-of-research-on-sexual-orientation/ A faithful conversation respects facts. It is reality based. It would be nice if we could just consider this an “internal discussion” that we will have inside the church, but that would be naïve at best. Those who will have the most difficulty with this discussion are being inundated with propaganda. I use such a loaded word advisedly. It is hard to know just what to use to illustrate this. There are several to choose from. The Southern Poverty Law Center has recently updated the list of hate groups in the US. They now list 27 anti-gay groups – many of which present themselves as ministries. http://www.splcenter.org/get-informed/intelligence-files/ideology/anti-gay/active_hate_groups. And these groups have responded by claiming they are being persecuted for their faith – even though the criteria SPLC used would say otherwise: http://www.splcenter.org/get-informed/intelligence-report/browse-all-issues/2010/winter/the-hard-liners. A faithful conversation acknowledges the realities in which we live. We will not effect change if we only talk with those who are “ready”. We will need to find an effective way to engage a larger group. While we will need to be able to welcome all to the table we will need to find a way to do this AND keep the discussion in a safe space. Some positions wound and this is not OK. So this is the start of my list. It is not meant to be complete, but rather to focus my thoughts and I hope stimulate some discussion. What would be on your list? I would love to hear.